My vendors are heading off to a new life elsewhere - making way for new owners to love and enjoy this beautifully renovated 3 bedroom Bungalow located super close to town. Decorated in soft neutral colours - furnishings will declare your personality in this cutie. With a lovely kitchen and bathroom, fresh paint all the hard work is done - yet there is still room for further capital gain. 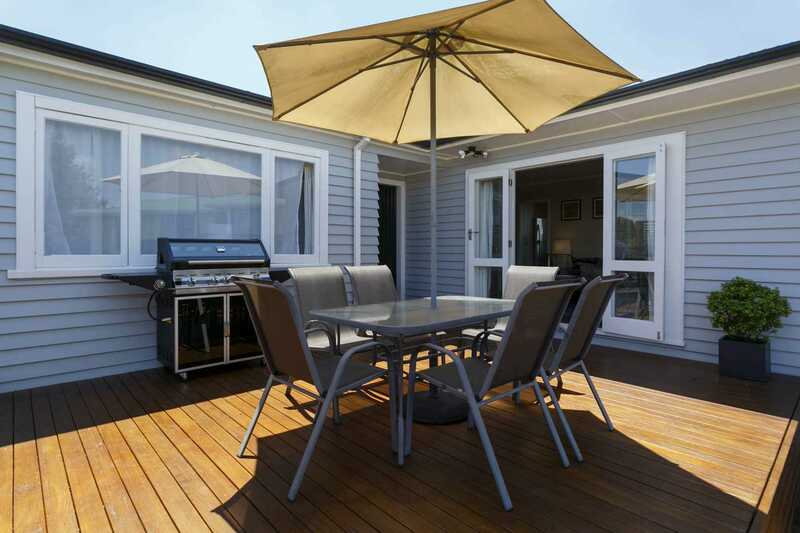 An entertainers dream our bungalow includes a gorgeous sheltered deck located perfectly to soak up the evening sun. Single car garaging with extra car spaces - along with a lovely back section complete this fantastic opportunity. Tenure Detail: Flat 1 DPS 81948 and Garage 1 DPS 81948 having a 1/2 interest in 1012sqm (more or less) being Lot 6 DPS 2177. Leasehold instrument L B494537.1 for a period of 999 years commencing on 01/07/1998. Chattels remaining: Fixed floor coverings, Light fittings, Stove, Curtains, Drapes, Dishwasher, Heat pump, Heated towel rail, HRV system, Clothes line, Infinity. Fixtures/chattels excluded: Planter boxes (3), Outdoor furniture.